The Autumn/Winter seasons means wearing closer fitting long-sleeved tops, raised necklines and gorgeous sweaters. Neutral tones become our wardrobe staples once the weather turns cooler. But don't forget about your stash of costume jewellery, normally reserved for summertime. 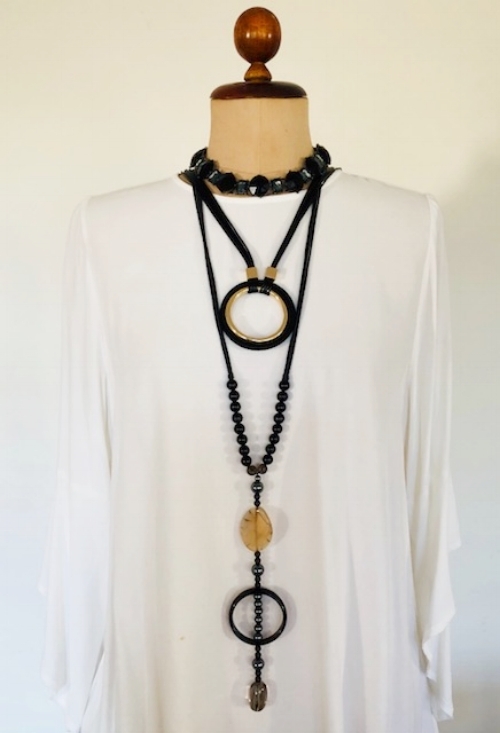 Give those short and long necklaces a Winter outing. Here are some of my favourites pieces. Rose gold makes a striking contrast over dark colours. The classic black and white combination - timeless! Make it chunky - wear two pieces together. I've found some great costume jewellery at places like, Lovisa, Colette Hayman, Decjuba and Zara. 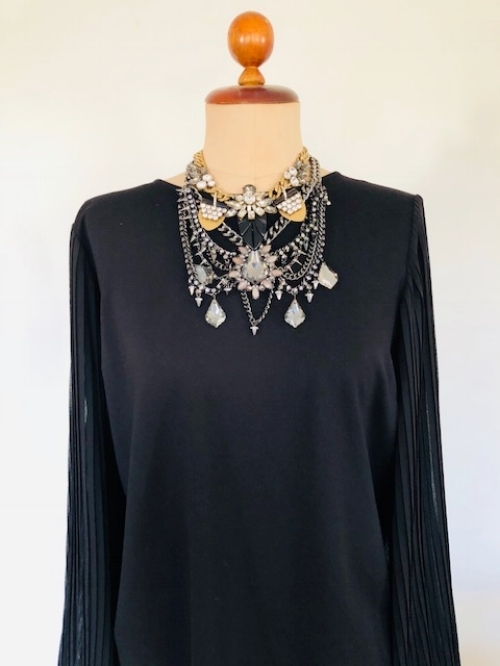 Play around with your tops and necklaces until you get a look you love!.